Chicago’s newest sports and entertainment venue is set to open fall 2017 in the South Loop near McCormick Place. 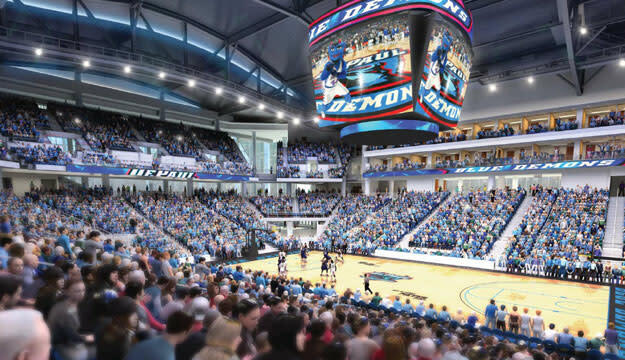 Chicagoans and convention-goers alike are eagerly awaiting the fall 2017 opening of Wintrust Arena, a new sports and entertainment venue that will be the newest addition to The Collection at McCormick Square complex. 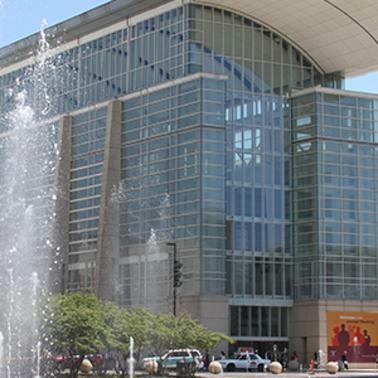 An intimate space with a floor area of 18,000 square feet, Wintrust Arena offers a new Chicago venue option for meeting planners that’s close to McCormick Place. 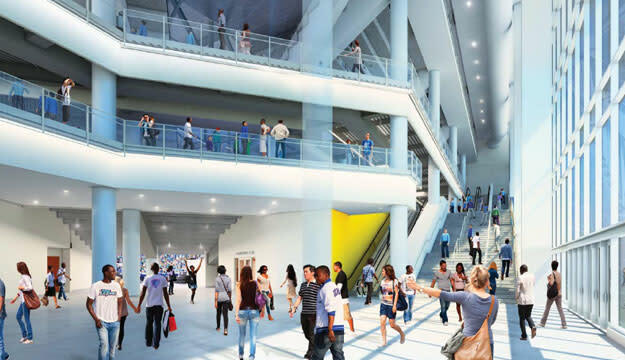 Designed by renowned architects Pelli Clark Pelli and Moody Nolan, the contemporary Wintrust Arena connects via sky bridges to the new 40-story Marriott Marquis Chicago and the recently renovated AAA Four-Diamond Hyatt Regency McCormick Place. One of Wintrust Arena’s most dramatic design elements is the roof that swells upward over the venue’s seating, an homage by the architects to Chicago landmarks like the Auditorium Theater and Union Station. The arena’s transparent facade gives passersby a peek at the building’s exciting energy, with the main entrance located at the corner of Cermak Road and Indiana Avenue. 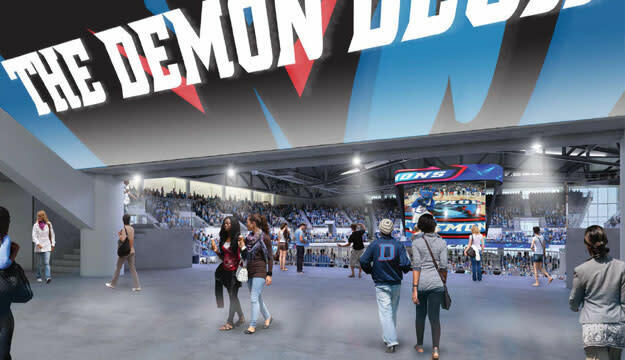 Serving as the home court of Chicago’s DePaul University Blue Demons basketball team, Wintrust Arena will also host a year-round calendar of happenings ranging from sporting events and concerts to family shows and conventions. Meeting planners can book Wintrust Arena for uses including general sessions or closing events for a convention (such as a concert). Wintrust Arena also offers 22 beautifully appointed luxury suites across two levels that are available for hospitality or event purposes. Eight of them are 16-person suites; the other 14 accommodate 12 people. 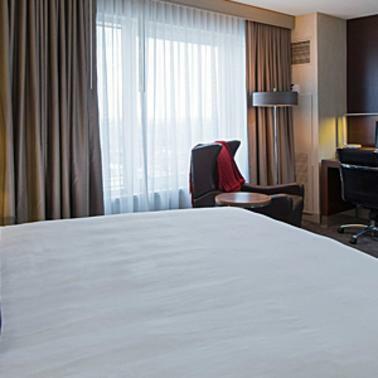 Suites include catering and private bars and restrooms, and are dependent on availability. According to Kennedy, Wintrust Arena will hold test events in September and October. The first official event will be a DePaul Blue Demons vs. Notre Dame men’s basketball game on November 11, 2017. 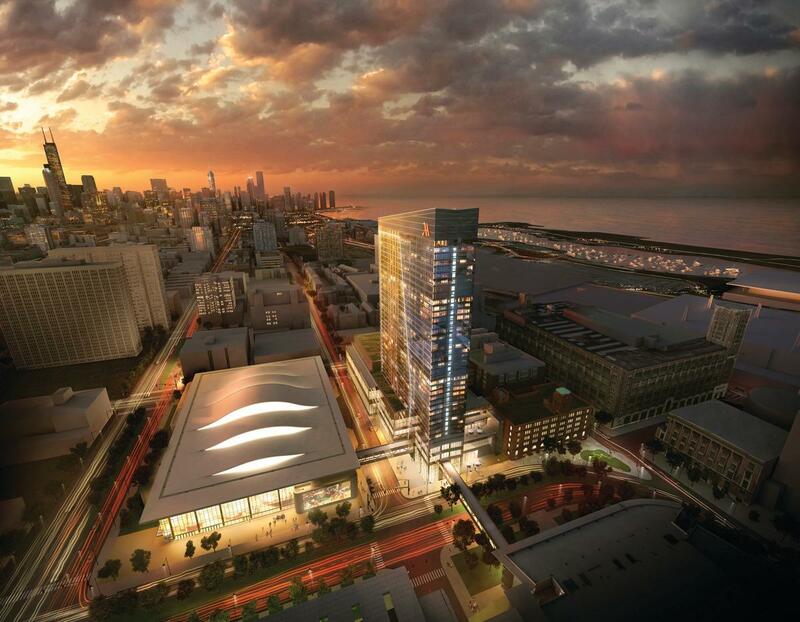 Wintrust Arena is a welcome addition to the burgeoning McCormick Square neighborhood, and is expected to up the excitement factor in Chicago’s newest entertainment district. It’s just one more reason to plan an event near McCormick Place, where a booming dining and nightlife scene that includes everything from craft breweries to a growing selection of diverse restaurants is just steps away. 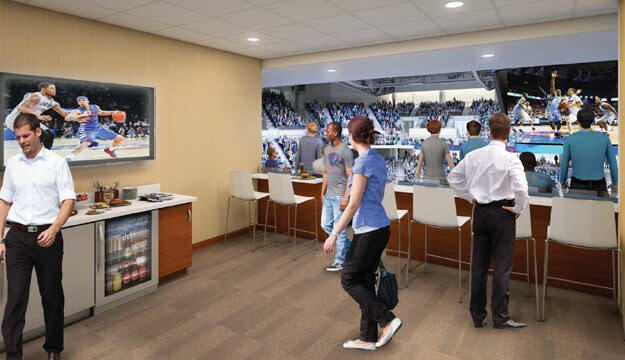 Meeting planners can contact David Kennedy at dkennedy@mccormickplace.com for more information on planning an event or booking a private suite at Wintrust Arena.